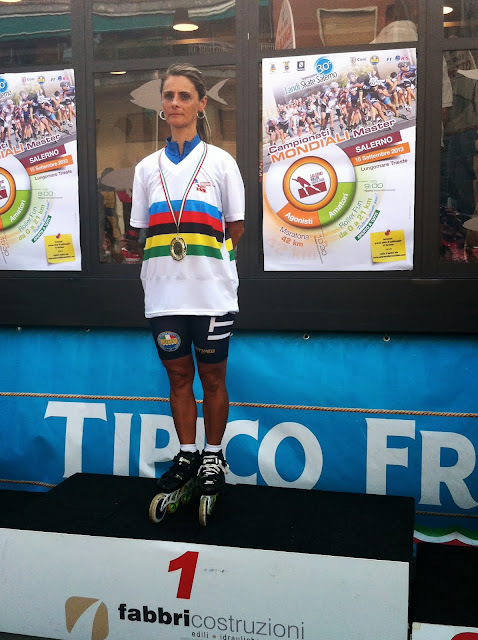 Last week Salerno hosted the World Championship Master Roller Marathon. I had never seen a roller skating race before and I would never have imagined it could be so exciting. Skaters came from all over the world (the Netherlands, Germany, Canada, France and Cuba) to take part in the event. They arrived in Salerno ready to challenge for the world title. The start was a festival of colour and enthusiasm. I was impressed by the way in which the skaters paraded neatly in a row in the first part of the race, even though they were at very high speed. They seemed to get faster with every lap. As they brushed past me on a curve I could feel the air move thanks to the speed of their movements. During the 42 km race the skaters went round the circuit, which ran along the sea, many times. 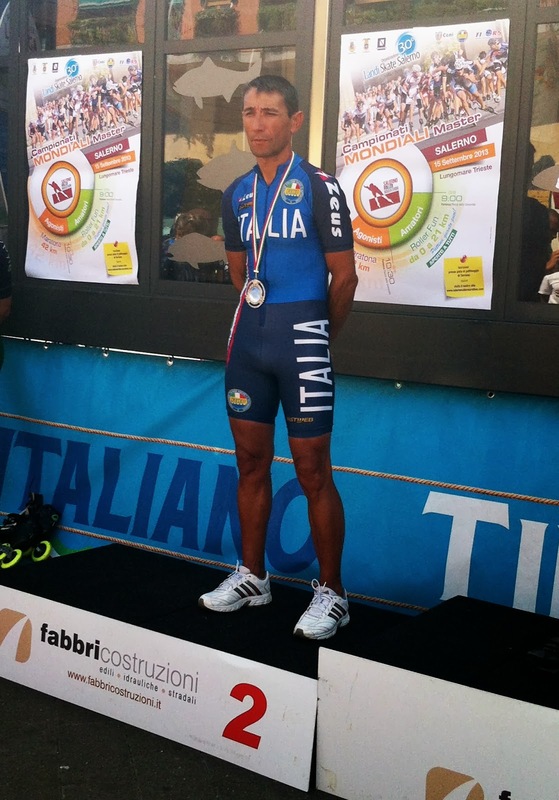 but Italy also made a good impression with Giuseppe Cortese’s second place in the Men’s under 60 category and the excellent placings of Myrna Maria Assunta Casolaro and Desiana Caniatti, first and second respectively in the Women’s under 60 category.